Welcome to Imperial College London’s Turbo Group. Our world class expertise in turbocharging and exhaust gas energy recovery, supported by unique test facilities, can help your turbochargers run as efficiently as possible. Photograph: Professor Ricardo Martinez-Botas (left) and Dr Srithar Rajoo (right) explain the research of the Turbo Group to the Prime Minister of Malaysia, Tun Dr Mahathir Mohamad (centre). 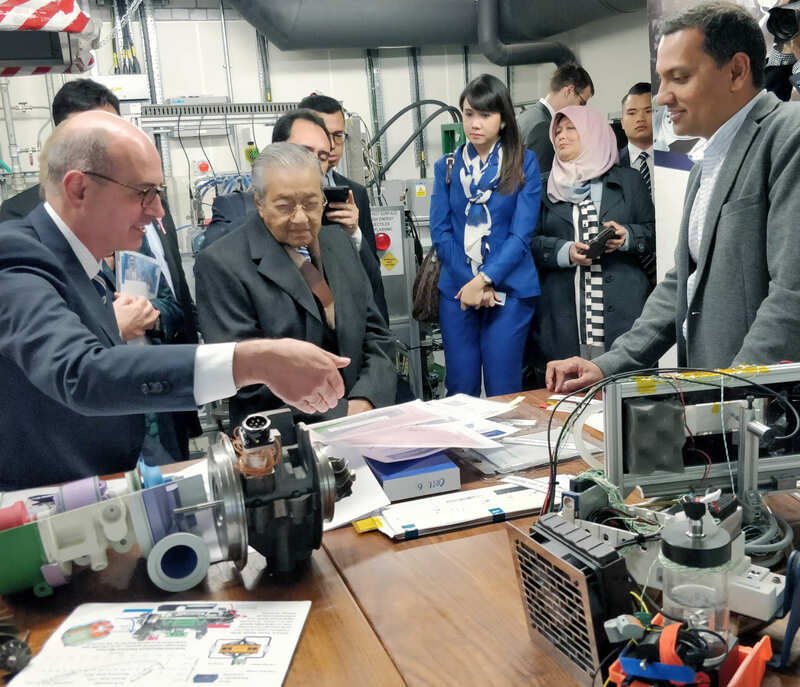 The Prime Minister of Malaysia, Tun Dr Mahathir Mohamad, visited the Turbo Group laboratory today, during his visit to Imperial College London as part of his tour of the United Kingdom. Professor Ricardo Martinez-Botas, supported by research students and staff, gave the Prime Minister a detailed review of the low carbon vehicle research being carried out in both the Turbo Group and the wider Department of Mechanical Engineering, including our unique experimental facilities, as well as advanced technologies such as electrically-assisted turbocharging and batteries for hybrid and electric vehicles. The Turbo Group has long standing links with Malaysia, now formalized through the UTM Centre for Low Carbon Transport (LOCARTIC), a collaborative research venture between Universiti Teknologi Malaysia and Imperial College London. Photographs: Vincent Wei Sheng Cheong; the poster; conference attendees learn about TASR during the poster session. 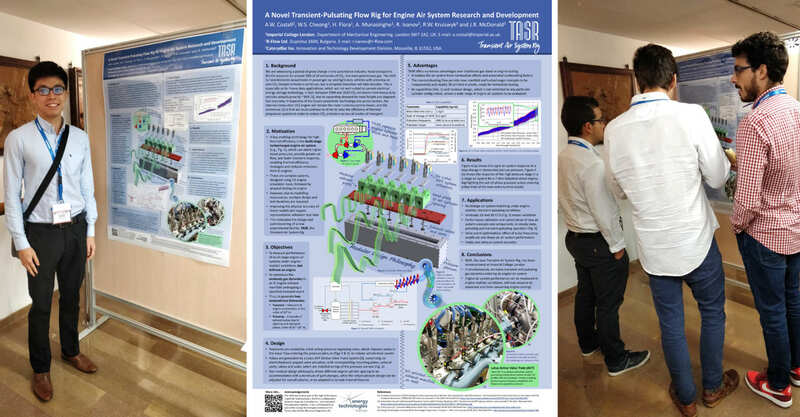 Vincent Cheong and Aaron Costall presented their poster, "A novel transient-pulsating flow rig for engine air system research and development", which describes the new TASR facility, at the THIESEL 2018 Conference on Thermo-and Fluid Dynamic Processes in Direct Injection Engines, September 2018. Photographs: TASR employs a Lotus Active Valve Train (AVTTM) system to generate engine-realistic exhaust pulses, while cold flow allows new manifold designs to be 3D-printed and tested in plastic; a two-stage air system for an off-road heavy-duty diesel engine on test. The new Transient Air System Rig (TASR) was publicized in an Imperial College London website article: "Experts build pulsed air rig to test 3D printed parts for low carbon engines", in June 2018. For further information, please visit the TASR page. We provide consulting services into all these areas through IC Consultants Ltd (ICON), the consulting company of Imperial College London. Alternatively, to contact specific people within the group please consult the people page.